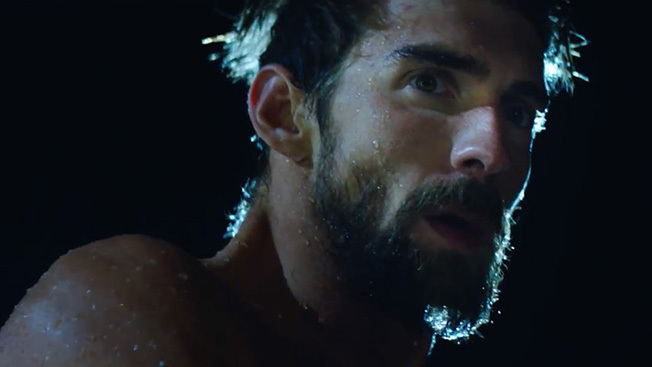 CANNES, France—adam&eveDDB's "Shoplifters" spot for Harvey Nichols won the Film Grand Prix at the Cannes Lions festival here tonight, while Droga5's "Rule Yourself: Michael Phelps" for Under Armour took the same prize in Film Craft. Film Lions jury president Joe Alexander, chief creative officer at The Martin Agency, said his jury was looking primarily for new ideas—approaches that haven't been seen before. "Shoplifters" certainly qualifies, he said. "The Grand Prix goes to a new way to use security camera footage to sell a rewards card, of all things, for a retailer. It's just a phenomenal piece," Alexander said. "I think the best pieces now cross over. This one ran in cinema, it ran as an incredible viral piece. It's a very modern piece of film that lived in both worlds." "Most of us on the jury had seen this piece on a computer screen before," added Film juror Ana Balarin, executive creative director at Mother London. "When we got to see it on the big screen—this had never happened to me in a jury room before—once it was finished, the whole jury room spontaneously started applauding. That says a lot about it. … Who would have thought that a film with a low budget, without a script, using found footage could be so entertaining and have such a rich narrative?" The closest contenders to "Shoplifters" included Wieden + Kennedy's "Whale" for Old Spice, Forsman & Bodenfors' "Look Who's Driving" for Volvo Trucks, and AMV BBDO's "Never Alone" for Guinness, Alexander said. This is adam&eveDDB's seventh Grand Prix in the span of three years. It won four Grand Prix in 2014 for Harvey Nichols' "Sorry, I Spent It on Myself" and one last year in Film Craft for John Lewis' "Monty's the Penguin." That latter campaign also won the Creative Effectiveness Grand Prix at Cannes this year. In Film Craft, it turns out Droga5 was competing against itself for the Grand Prix. The jurors ended up debating the merits of "Rule Yourself: Michael Phelps" against Droga5's Hennessy spot "The Piccards," before finally choosing the former for the top prize, said jury president Laura Gregory, founder and CEO of Great Guns. "We chose this piece because, at the end, it's the one that transcended the craft and just reached out and touched us," said Film Craft juror Steffen Gentis, chief production officer of BBDO Germany. "The craft became completely invisible, and we just found ourselves completely immersed." Droga5 absolutely dominated the Film Craft Lions this year. Along with the Grand Prix, the Phelps spot also won two golds and a silver in Film Craft (along with a gold in Film). The Hennessy spot picked up five golds in all. And Droga5's Under Armour spot with the Team USA women's gymnastics team won a gold and three silvers. Notably, very little virtual reality work was recognized in either category. "VR is the technology of this festival, for sure," said Alexander. "But we struggled with it as a jury, to be honest—how to judge it. We had a deficit of judgment. I think that's probably true of a lot of us who just don't have enough experience looking at VR films and how they work. … I think we're maybe three or four or five Film juries away from having a good idea of what makes a good VR experience and a good VR film. We don't have a lot of it in our shortlist. I think one piece won a bronze [Vrse.Works' "Waves of Grace" for the United Nations] because we felt we should say something about it." "We struggled in the same way [in Film Craft]," added Gregory. "Most people doing VR now are technologists, not storytellers. Most of the VR that I've seen globally is really lacking in craft."